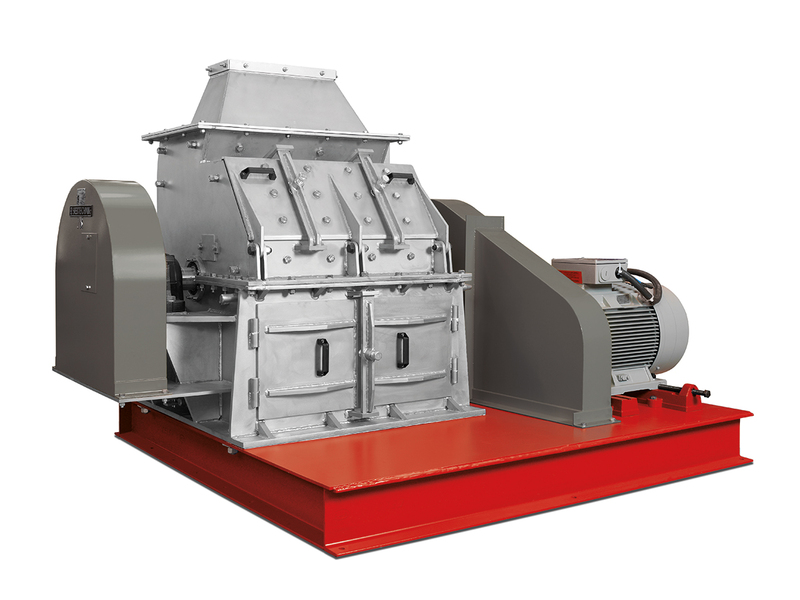 Hammer- and hammer impact mills are suitable for crushing soft to medium hard materials (degrees of hardness according to F. Mohs 2 – 5). For example: agglomerates, coal, limestone, gypsum and slag. They are designed for large through-put volumes and trouble-free operation. Hammer impact mills are particularly suited very coarse material for whilst attaining a high degree of comminution with large through-puts. The hammer mill HM 1 with the collection box in the base frame is for the grinding of small batches, as normally handled in laboratories. In a special execution that mill can also be used for the grinding of laboratory samples of metal filings. In hammer mills the material is pulled into the crushing space by the hammers suspended from the rapid running rotor. Comminution occurs mainly through impact in the area of the grid basket. 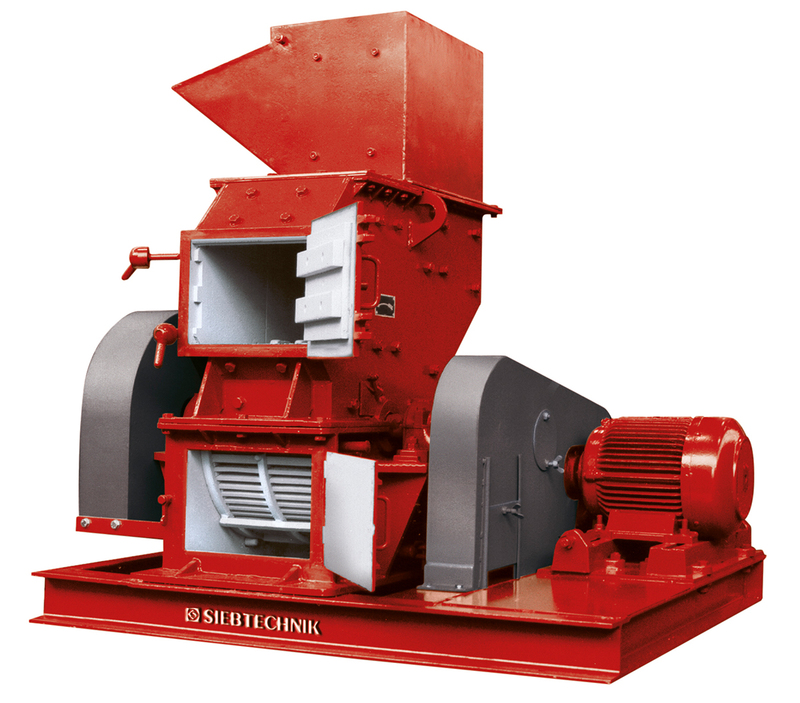 The material being crushed remains in the crushing space until the degree of fineness required has been achieved, so that it can then pass through the discharge grid. In both types of mills the fineness of the finished material is influenced by changing the grid slot widfh and circumferential speed. Unlike hammer mills, hammer impact mills are provided with additional impact space in the top housing section. The material once fed in is picked up by the rotor hammers and hurled against the deflectors in the impact space. The material precrusfied in this manner lands in the bottom crushing space, being subsequently crushed, in the main, on the grid basket. 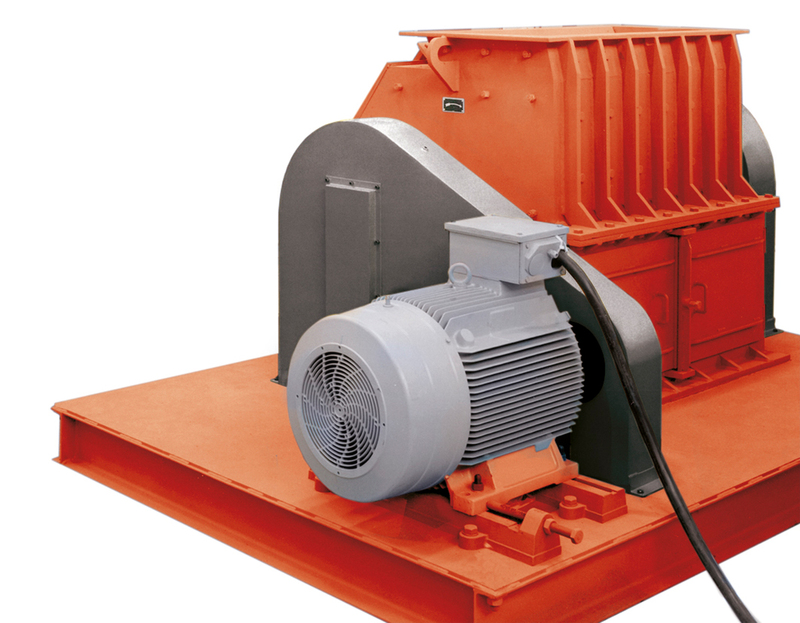 The hammer- and hammer impact mills are of inlet welded steel construction. The two-section housing comprises the top housing section and bottom housing section. The crushing space is protected from wear by easily exchangeable armoured plates. Continuous bolts holding the hammers, can be withdrawn through openings in the housing sides (over size 3). Changing and re-positioning of the hammers is quick and easy, without the need to dismantle the mill. Inspection covers (over size 3) on front and rear walls make the mill interior easily accessible. The two-section grid basket (over size 3) made of low-wear profile bars is incorporated in the lower housing section. Each half of the grid basket is mounted to swivel with continuous bolts at the extreme end. 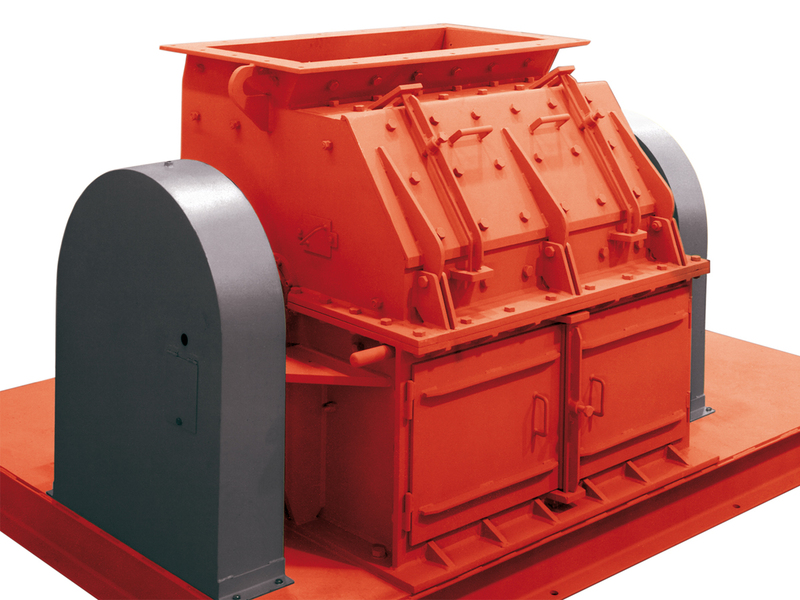 In hammer mill HM 1 the top housing section can be swung up, making for rapid and trouble-free grid basket changing and cleaning. This mill is powered by a three-phase motor and V-belt drive with flywheel. The throughput depends on the slot width of the grate basket, the bulk density and the crushing behavior of the crushed material.